Summer heat can often damage our lawns unless we take the proper care to maintain them. If you've noticed your lawn looking a little down in the dumps, follow these easy tips to prove the grass is greener on your side of the fence. ...But not during the day. The water should be administered to your lawn in the early morning or later at night. If you water your lawn with your heavy duty hose during the day, it'll just make your lawn burn even faster in the sun. 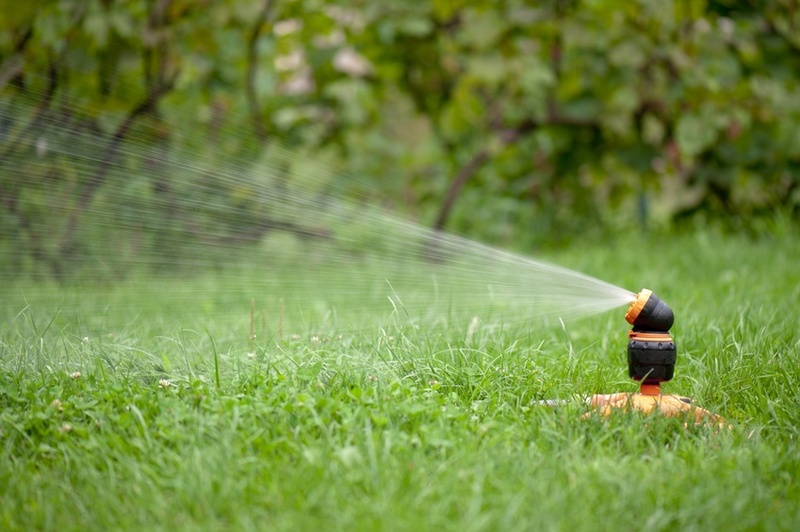 Instead, perform your heavy duty watering before the sun comes up to keep your grass moisturized throughout the day. If you water at night, the water won't be burned off by the sun. Just don't water your garden or lawn too often; rain will do that naturally, and overwatering your lawn with a sprinkler could make it more susceptible to sun damage. It's important that you water infrequently, but that you saturate the soil whenever you do water. You should water your lawn for between 60 and 90 minutes to get the best results for your lawn. Shorter grass means you don't have to cut it quite as often, but mowing on a higher setting will allow grass roots to grow longer and stay healthier. While it might require a bit more effort on your part, your lush green lawn will thank you during the frequent dry spells that can happen during summer. Local plants and grasses that are indigenous to your region will be better able to handle the seasonal changes that happen within your particular climate. This is because it's taken thousands -- even millions -- of years of evolution to get to this point. If you haven't already, consider planting a native grass on your lawn and accent your garden with local flowers and shrubs. Paired with a heavy duty hose with a sprinkler setting, your lawn will need less upkeep and stay looking better for longer. If you want a healthier, greener lawn and garden this summer, try these simple tips to incorporate into your gardening routine.